It is not working, i am using jdev 11.1.1.6. 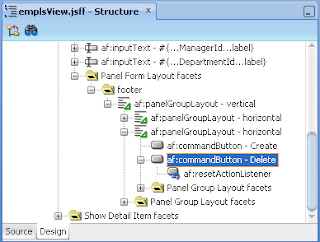 I have created taskflow with two train stop and then i have created jspx page panel tabbed with two showDetailItem. In 1st i have train TF as region and in other showDetailItem i have other read only table. So, sounds like you have different use case. 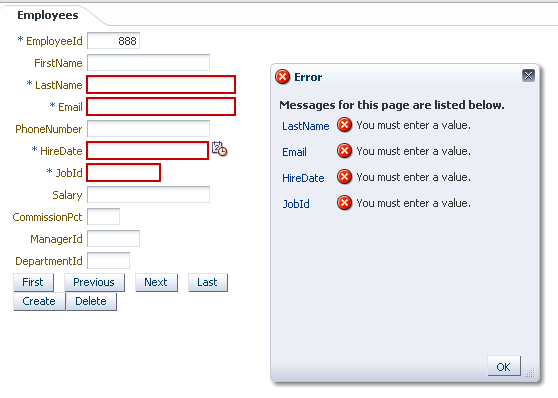 Try setting skipValidation=true on all page defs. 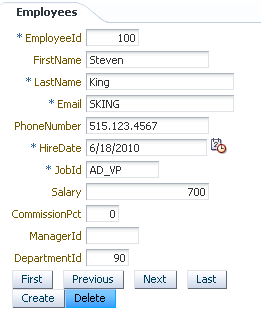 Another option is to wrap your form into af:subform component, it will ignore validations in other parts of the screen. Thanks :) .. i tried with skipValidation=true but not working and using af:subform i can able to navigate but validation messages are displaying in other showDetailItem. This is bad :) Try to create sample app and send me, if I will have some free time, I will take a look. Can u plz give ur mail id so that i can forward sample application. 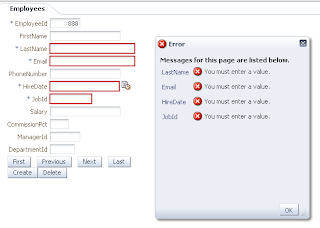 i have a doubt regarding removing a row with out validation will be done in adf means other technologies wil follow the validation?????????? 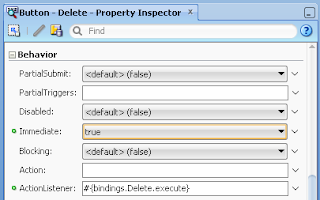 I encounter a problem in using CreateInsert and Delete function. I create a jsff page having a table and 2 buttons. 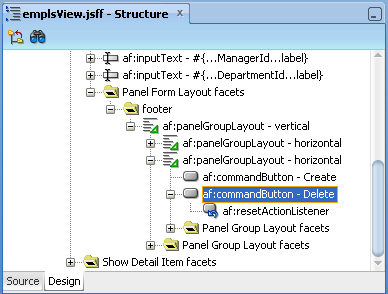 The table is binded to a VO and the buttons are binded to CreateInsert and Delete operations. The VO has 2 fields. One primary key and a dummy field. The primary key is generated by the function adf.object.getSequenceNumber(). Initially, the table/VO is empty. I go through the steps below. 2. Update the dummy text to "abc"
3. Click CreateInsert button again. I don't know why the last deleted row appears again. It happens ONLY when all the rows are deleted and the table is empty. If there is at least one row left, everything is normal.